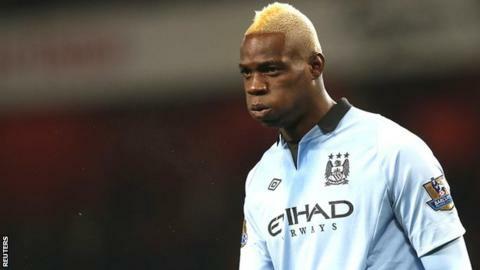 AC Milan have signed striker Mario Balotelli from Premier League champions Manchester City for £19m. The 22-year-old agreed a four-and-a-half-year deal with the Italian club and completed a medical on Wednesday. "I will always have a very special place in my heart for City, it's a great club with a great future," he told the Manchester club's website. "I thank them for all of their support of me. Maybe one day we will see each other again." He helped City to the Premier League title last season, but has managed only three goals in 20 matches this time round. "I think to win the Premier League was a very special moment, and I am proud to have been a part of that," he added. The forward also revealed he bid farewell to his team-mates at the pre-match dinner before the 0-0 draw at QPR. "Yes, I said goodbye to everyone at the meal in London before the game at Queens Park Rangers. It was very emotional for me," Balotelli continued. "I spoke with [manager] Roberto [Mancini] before I went to speak to the players. We spoke for some time about lots of things. He was sad, and I was too. But it was a good conversation. I love Roberto, he has been very important for my career, and I will always thank him for having trust and faith in me. "Being at City was an important part of my life and career. I needed to grow up like a player and as a person and it has been a very good experience for me." Galliani said: "With his arrival, we have reinforced our team a lot. He's a dream come true, wanted by [AC Milan president Silvio] Berlusconi and the club.